I purchased this bladder for my wildlife research job that requires long hikes every day in the Canyonlands of Utah. 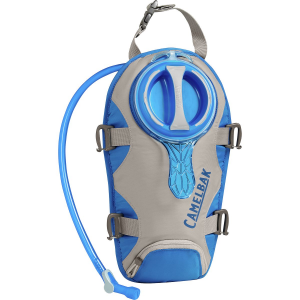 Ten times better than any CamelBak, the design allows you to insert the bladder into a full pack without massaging it down in like the CamelBaks. The bladder can stand in your pack without hanging it; some packs don’t have hangers for bladders. The magnet near the bite valve allows for easy storage on your chest strap of your pack; it’s always where you need it. All in all, after using other bladders for years, this is the best bladder I have ever used, and I recommend it. Not optimized for serious hikers, particularly backpackers. As a backcountry hiker I refill my 2 liter reservoir about eight times a day. My old one has a quick release fitting that permits instant connection to my filter. 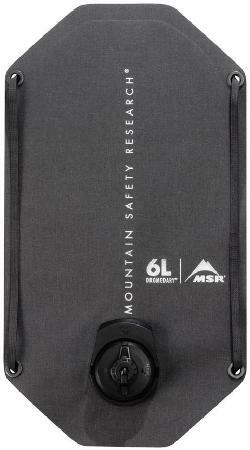 This saves carrying a bottle, and fumbling to pour water from it into the reservoir on the trail. Osprey/Nalgene simply never thought of this so it is impossible with this unit. Inside my pack the handle built into this unit protrudes like a hard binnacle, creating a space-robbing bump to pack around. Forget about a bear canister. The supply tube is permanently routed through the handle 2/3 of the way up the unit, emerging dead center in the load area just begging to be kinked when you tighten up your compression straps. The magnetic bit valve holder lets go with one finger if you push against it laterally (shearing it). It came adrift every 30 seconds on easy trail. It is very annoying with a trekking pole in each hand. The sewn-in foam pad reminds me of a bulky item crammed into a sock hanging on the mantle Christmas Eve. My wife however likes this feature for her REI Flash 18 since it has no rigid parts to hold its shape. It seems like gratuitous extra grams to me, in a pack with stiffeners. To be fair no existing reservoir design is all that effective since as long as it rides inside a pack and shrinks as it empties, strap settings will loosen. There is also the matter of digging the thing out of a loaded pack. If somebody made an intelligently designed unit that had filter connectivity and rode harmlessly outside the pack where its volume had no impact on pack control I would buy it. If you're a day hiker who doesn't care about the things people like myself do this thing would be fine. My wife has agreed to take mine as long as I install a Camelbak hook style holder. The screw cap couldn't be easier to use. And it does fill easily if you pour your liquid instead of pump it. Yes, I was dumb to buy it. I relied on the advice of an REI salesperson who told me the filter connection parts were available from Osprey, just not REI. That guy had never heard of filling with a filter. Email correspondence with Osprey alleges that the filter connection set is in the works. Quality product. The rigid frame allows easy insertion into your bag and provide a nice handle when filling it up. Good amount of volume through the bite valve and the magnetic clip for your sternum strap is very convenient. Be aware that this magnet can cause issue with medical implants, compasses, credit cards, etc. You don't have to use if you don't want to. 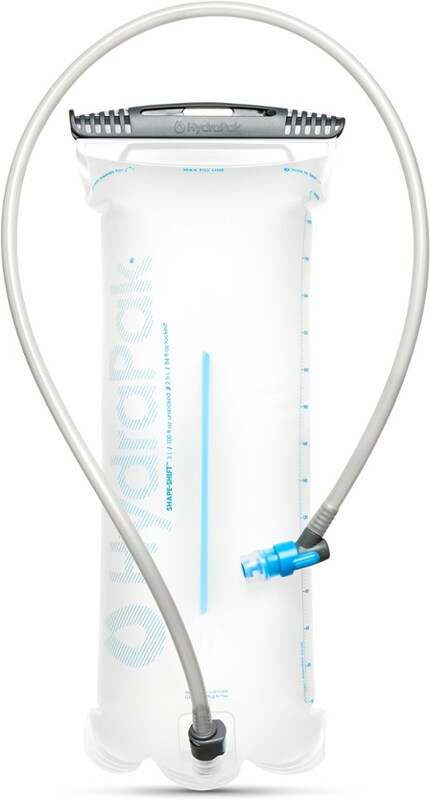 The Hydraform 2 Liter Reservoir has been discontinued. It was replaced by the Osprey Hydraulics 2L Reservoir. 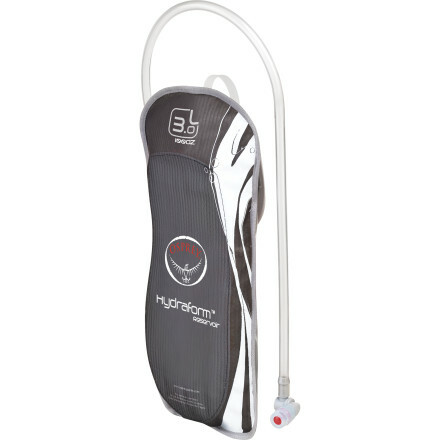 The Osprey Hydraform 2 Liter Reservoir is not available from the stores we monitor. It was last seen January 4, 2016	at Massey's Outfitters.